We are committed to providing the best dental care for all children regardless of their developmental or other special health care needs. You can be assured our office will give your special needs child the attention and gentleness he/she requires for a positive and successful dental experience. 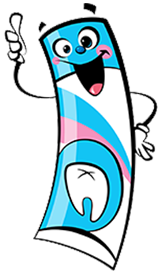 The American Association of Pediatric Dentists defines persons with special health care needs as individuals who have a physical, developmental, mental, sensory, behavioral, cognitive, or emotional impairment or limiting condition that requires medical management, health care intervention and/or use of specialized service programs. Dr. Zak is a special needs dentist, specifically trained to diagnose dental problems and treat these special patients in our practice. By establishing our office as their dental home, our goal is to have our special needs patients feel comfortable and safe.